Cover by James Clyne. Image courtesy of Abrams Books. 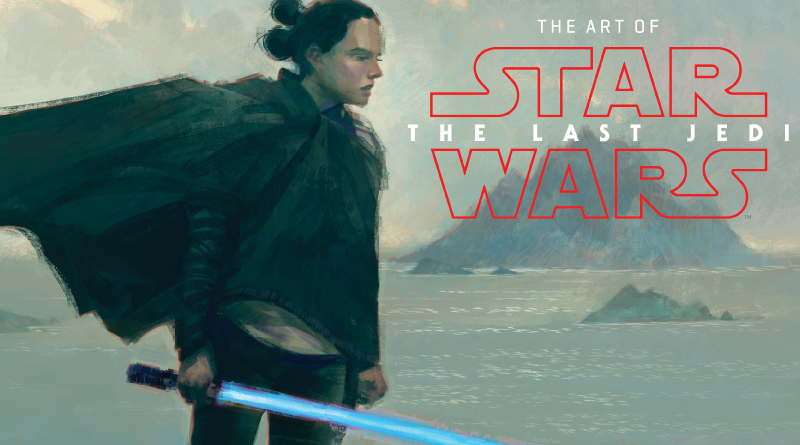 Once again ABRAMS has put out a beautiful look at the visuals that played a role in the creation of the latest chapter in the Star Wars saga with The Art of The Last Jedi. As there are no “Making Of” books out on this new generation of films yet, this is the closest thing we have. Here the focus is more on pre-production, although you will find a little about the filming process and VFX. Sprinkled between the 300 or so illustrations are insights from mostly high-level members of the art, costume, creature, & production departments as well as writer/director Rian Johnson – all collected by author Phil Szostak. You’ll find the book’s text arranged mainly chronologically in the production timeline. In regards to the art order, it jumps all over the place more so collecting art around a theme or place than necessarily the story’s order or the production timeline. It’s a bit jarring but if you get lost in the art and ideas themselves, it can be easier to set aside. 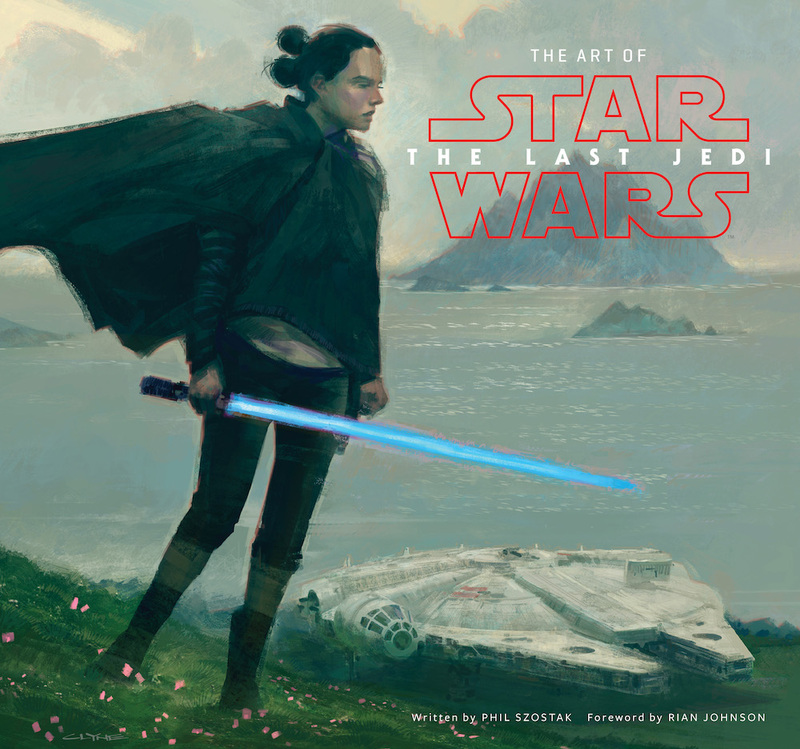 Noticeable from early on in this 256-page hardcover coffee table book is that the concept art is much more focused than what we saw in The Art of The Force Awakens. This of course has to do with the fact that from the start the story was already more channeled in than the countless directions the previous episode could have taken. There still is some bluesky work going on though. And since The Last Jedi’s creation overlapped with The Force Awakens and Rogue One, both these movies have an influence – whether it’s previously un-used and adapted art or the need to bring new visualists onto the teams due to the demands of another in-house movie. I’ll leave the details for you to uncover yourself but there were many fascinating elements to discover within The Art of The Last Jedi. 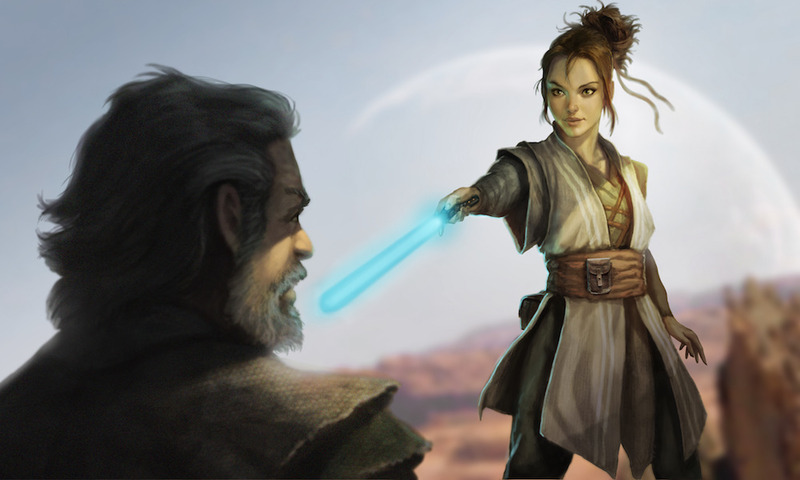 From the inclusion of art from back when George Lucas was starting to develop an Episode VII and how it connects to the movies we have now to determining the theatricality of the Throne Room and the face of a fathier – there’s a lot to take in. It was neat to also learn about the challenges of and problem-solving approaches to having 167 sets as well as seeing periodic drawings of how all the elements of a scene would be set up and move. There were also a few nice reminders that sometimes choices are made for practicality’s sake. Often as Star Wars fans we’d like for there to be deeper meaning behind every detail, but sometimes a robe is gold because that’s what color looks good with the rest of the scene color’s palette. 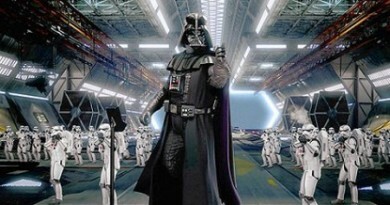 Overall the book all follows a theme: Star Wars is visually built on what came before it. 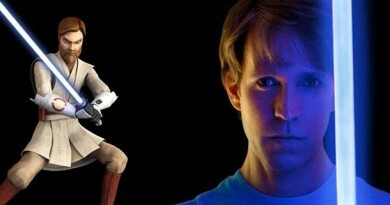 Whether it’s kit bashing or using The Empire Strikes Back’s Cloud City guards as a jumping off point for Canto Bight’s police weapons, integrating Imperial design retrofitting into the story or watching a series of films to get everyone in a certain reference frame of mind, there was little need to create any looks completely from scratch. Design iterations are often simplified too. It’s a simultaneous feature and challenge of working in a 40-year-old cinematic galaxy. And The Art of The Last Jedi lets you get a solid taste of the work that goes into that landscape. The publisher sent a copy of this book for review. This book was released December 15, 2017 and is sold at several major book retailers. Check out Abrams Books’ website for the full list.